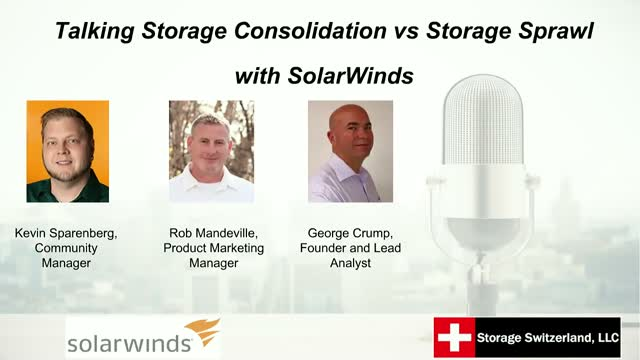 Join Storage Switzerland and SolarWinds for our Friday Flash webinar. In 15 minutes our panel of experts provide you the information you need so you can better deal with storage sprawl in your data center. Storage Switzerland finds that most organizations have five to six different storage systems and three or four different vendors within their storage infrastructure. These diverse storage architectures can be expensive and time consuming if not correctly managed.